Chimney maintenance in May? Wait, it’s sunny, warm and having a fire in my fireplace or wood stove is the last thing on my mind. Planting flowers, cutting grass, pressure washing the house etc., are on the priority list during this time of the year! Although there are plenty of new priorities around the house, this is the perfect time of the year to have your chimney serviced. Yearly cleaning and inspection is essential to prevent buildup of soot and dangerous creosote. 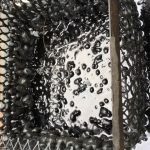 Other issues such as cracked chimney flue tiles, damaged chimney crowns, and water penetration can be identified, and cost-effective solutions can be suggested and discussed. Why is it important to remedy issues identified during the yearly inspection and maintenance? The first and most Important is the safety of the homeowner/s. A properly maintained system will evacuate combustion gases efficiently and safely. 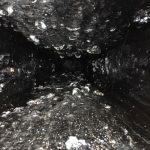 A masonry chimney that has cracked flue tiles and missing mortar between the joints has reduced efficiency and may allow combustion gases to penetrate behind the flue tiles. In the event of a chimney fire the faulty flue tiles may fail allowing the structure of the house to be exposed to excessive heat possibly causing the home to ignite. The “chimney crown” is designed to allow water to flow away from the center towards the sides of the chimney. If this is cracked, broken, or missing due to time and weather, it will allow water to penetrate from the top and over time will deteriorate the structure of the chimney. General water penetration will also cause the chimney to deteriorate. Do you have a damp fire box, do you see white stains and or mineral deposits (efflorescence)? This is an indication that water is penetrating the chimney and needs to be resolved to prevent future and more expensive repairs. At MJL Services dryer vent, we take pride in offering excellent customer service. We will provide cost effective solutions and will never use high pressure sales tactics. We believe that long term relationships are more important than short term gain. Finally, ensuring that you have a properly functioning system is the first step to the number one goal, the safety of you and your family!